Women veterans are more likely to be critical of the U.S. involvement in Iraq and Afghanistan than their male counterparts, according to a new survey by the Pew Research Center. Sixty-three percent of female veterans say the war in Iraq was not "worth fighting," and 54 percent say the same of Afghanistan. Among male veterans, only 47 percent criticized the Iraq war and 39 percent disapproved of the efforts in Afghanistan, according to the poll. Pew noted that the gender gap among veterans is wider than in the general public, where narrow majorities of both men and women believe the two wars were not worth fighting. 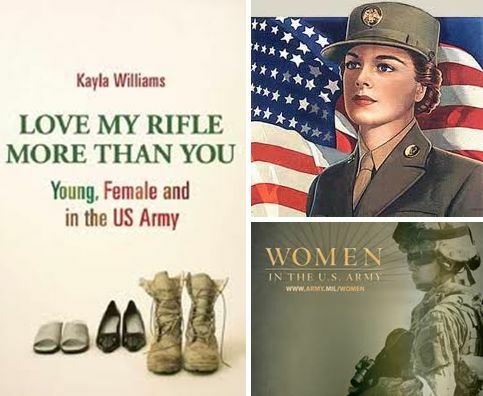 Kayla Williams is a linguist and former intelligence specialist in the U.S. Army, whose book Love My Rifle More Than You: Young and Female in the U.S. Army detailed her experiences during the 2003 invasion of Iraq.